HTTPS (Hyper Text Transfer Protocol Secure) is the secure version of the standard HTTP. Basically, it ensures that any communication between a users browser and the website remains encrypted, keeping their information safe. 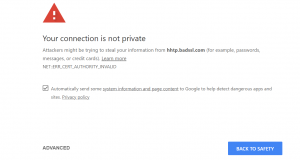 An SSL (Secure Socket Layer) certificate is installed in the backend of the website to create the secure connection, enabling the HTTPS status. A website with HTTPS will have a lock icon at the beginning of the address bar, letting users know the website is secure. Until recently, it was believed that having a secure connection was only important for websites that sold products, took direct payments, or received some other sort of sensitive information (medical offices, lawyers, etc.). This, however, is no longer the case, and it is suggested that all websites use HTTPS. Why Should Every Website Have HTTPS? 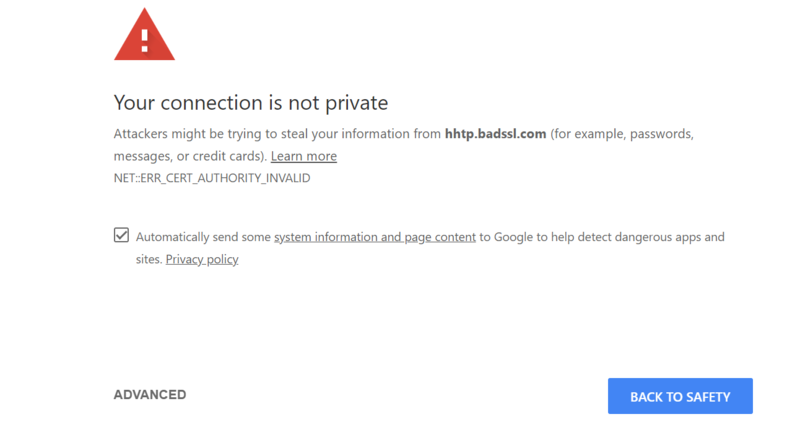 1.Google Now Labels HTTP Sites as Not Secure. This is obviously a HUGE issue and almost guaranteed to deter potential visitors from proceeding to your site. The image below is an example of the message users are shown. This alone is enough reason to make the move to a HTTPS website. Google has been using HTTPS as a ranking factor since 2014, though it isn’t clear just how much this affects your websites rankings. One thing research has confirmed is that the value has been increasing in the algorithm year after year. There are lots of reasons people will try to hack your website, even if you don’t take payment methods or store sensitive information. As technology grows, so do the possibilities for attacks, and HTTPS provides additional security to keep your website safe and secured. WANT US TO SECURE YOUR SITE?